According to research conducted by the non-profit R&D group, Electric Power Research Institute, the cost over a year to charge your Apple iPad is a measly $1.36. In comparison, a 60-watt compact fluorescent bulb costs $1.61 in electricity costs over a year, a desktop PC will add $28.21 to your electricity bill, and a refrigerator runs you $65.72 to run over 12 months. The study was conducted by the EPRI to see how much power some of the popular new devices are consuming. While it doesn't take much power to keep one Apple iPad charged, if the current 67 million units were to triple, the amount of energy required to charge them would take the annual output of a small power plant running at full strength. But some of that electricity could be available because iPads that are being used in lieu of a desktop computer use one-fifth the power consumption of a PC. The latter requires 20 times as much power annually as an Apple iPad. All of this is leading EPRI researcher Baskar Vairmohan, to study whether the explosion of tablet use from practically zero to today's high numbers will reduce power consumption by replacing devices that require much more energy to run, or add to power consumption. Consumer energy demand is on a pace that would be the third straight year of decline thanks to more efficient air conditioners, light bulbs and other appliances. Refrigerators use only a quarter of the power that the last generation models required. 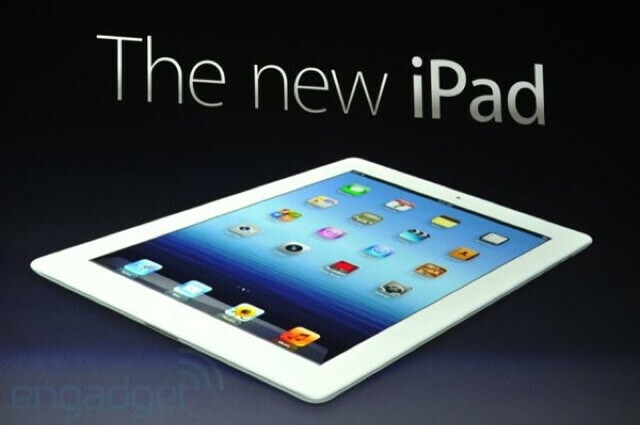 For the test, the EPRI assumed that the average Apple iPad user would recharge his tablet every other day. The device used 11.86 kilowatt-hours of electricity. over the year at a cost of 11.49 cents per kilowatt-hour. Amazingly enough, there is a device that only costs 38 cents to recharge for an entire year-the Apple iPhone 4. I love that picture. 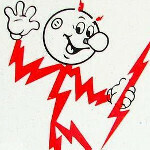 Mr. Electricity as I am calling him looks BOSS! Didn't you all have an article about this less than a month ago? Apparently the news is so slow they don't have anything else to report on, so they must re-post old news that no one really cares about anyways! It costs even less where I live. I must say that quotes about the cost of a Desktop PC over the course of a year might be correct for a lower end PC.. but when you have a 1200 Watt PSU.. it might tip the balance a little lol. It kind of depends on the cost of the electricity. $0.1149 is lifeline rate in northern CA. Very few consumers in northern CA are at the lifeline billing level. Still, the usage metric is encouraging. I wonder how other smartphones compare. probably not as well because there aren't a bunch of people mocking apple or many everyone is just the same so there is nothing to argue about on this point? I would expect handsets with larger batteries to have higher consumption (dual core CPUs, higher clock rate). The iPhone 4S has something like a 1200 or 1300 mAh battery, the GS III has I think a 1700 or 1800 mAh battery, for comparison. But at the same time you would charge a larger battery less assuming it drains battery at the same rate. The real question we should ask is what are the operational power consumption of the devices. same article again ? phonearena didnt u have any other way/news to do advertisement for craple for today's quota ? and you find more than that in random change found in the couch or on the ground throughout the year.